Marchand Petit decided to forego their individual Secret Santa presents last year and each nominated a charity of their choice, to receive the combined monetary gifts instead. 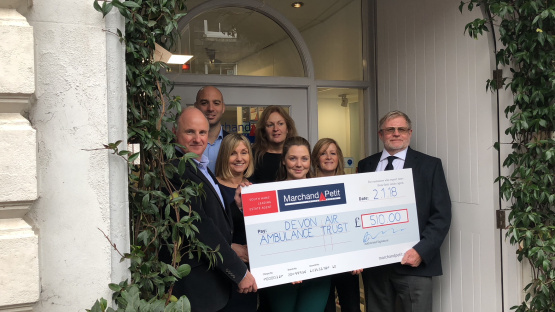 Devon Air Ambulance Trust was the charity pulled out of the hat, and the Directors kindly matched the sum donated. Since November 2016 Devon Air Ambulance have been able to fly into the hours of darkness, up until midnight, enabling this fantastic charity to help even more people in need.